Abstract: The Northeast Science Station began in 1989 with a group of scientists from the Pacific Institute of Geography of the Far East Branch of the Russian Academy of Sciences (FEB RAS). The station is located in the Nizhnekolymskii Ulus of the Republic of Sakha (Yakutia), 120 km south of the Arctic Ocean. The station is inhabited year-round and is 3 km from the town of Cherskii, which is located at the mouth of the Kolyma River. 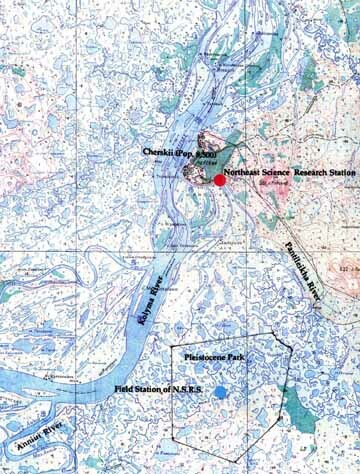 The administration of Pleistocene Park, a 160 square kilometer wildlife preserve, also operates out of the Northeast Science Station facilities. Their focus is on carbon cycles, methane fluxes, paleoclimate, and the changing ecosystem.